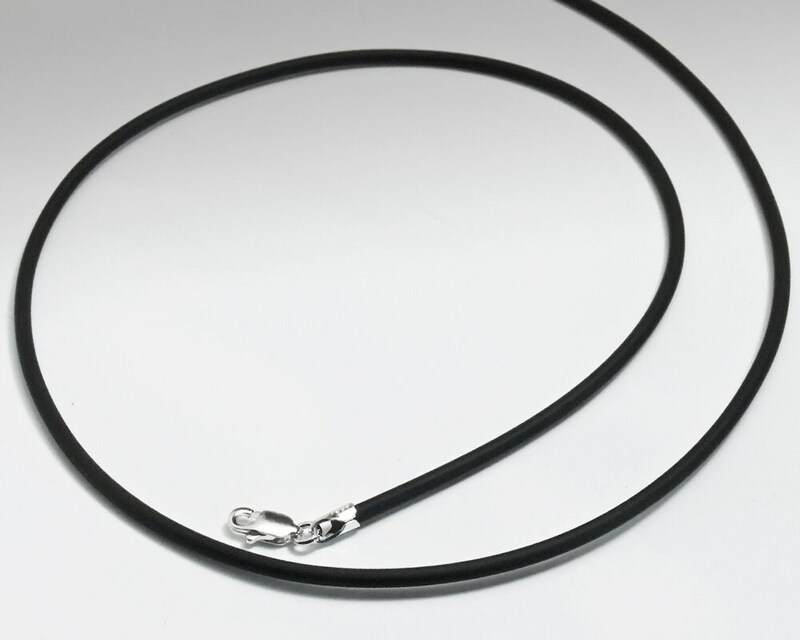 2mm black rubber cord with sterling silver clasp. Made in Italy. Light weight, attractive and affordable. Simple, yet precisely made, exactly as described.